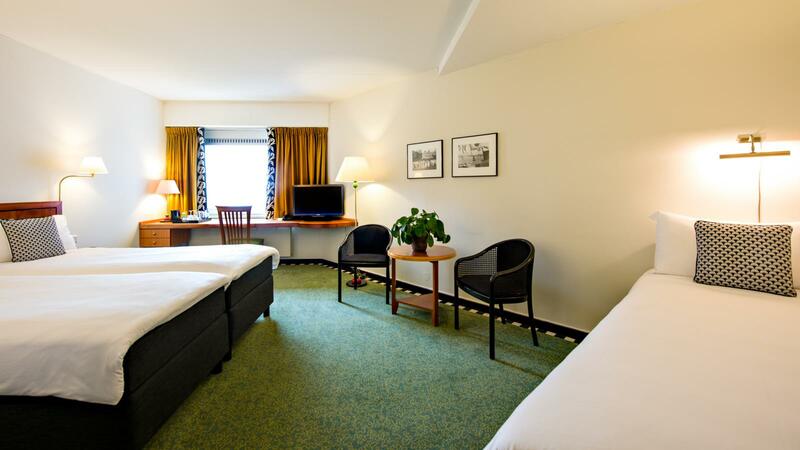 The triple rooms are equipped with three single box-spring bed and have an area of 27m². All rooms have a bathroom with a shower. Some rooms have a walk-in shower. 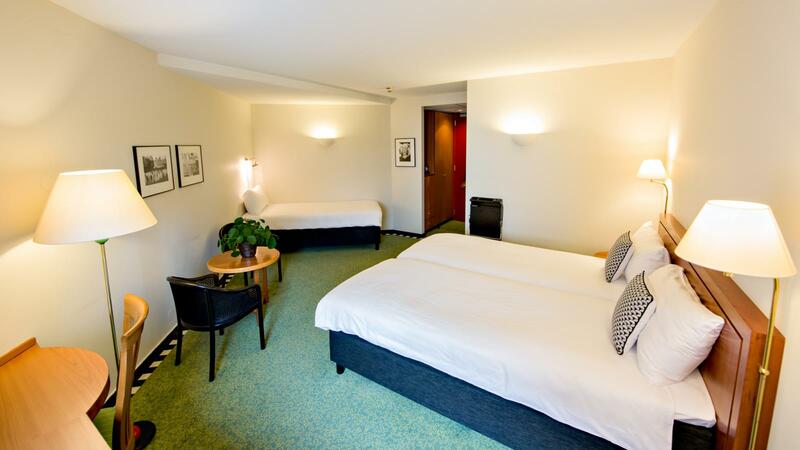 All rooms have a television, a hairdryer, free Wi-Fi, parking and access to the gym.